Apologies for the lack of updates, folks. I did write one post a couple weeks ago, but it was as a guest on another blog. It should be up later in the month and I’ll be sure to link you – I’m pretty happy with how it turned out. A topic I touch on a lot here is learning. So far I’ve mostly explored learning through the lens of writing. I’ve enjoyed doing that, and plan on continuing posts along that vein, but I thought it’d be fun to add something else to the mix. To cut to the chase: I’ve decided to teach myself how to draw, and I’m going to be blogging about it. 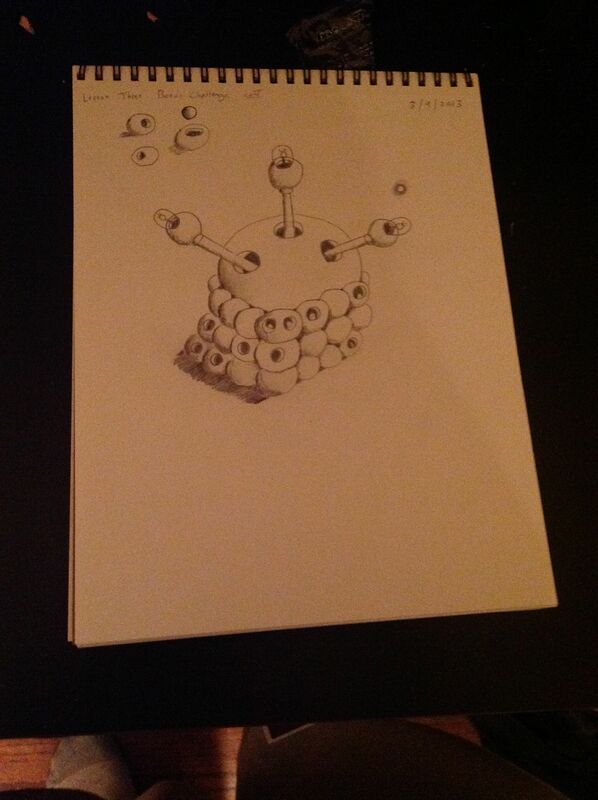 I’ve always liked to draw – or, more accurately, to doodle. My notebooks all the way from elementary school through grad school are covered in little cartoon figures, symbols, maps, shapes, etc. But drawing is never something I had more than a modicum of formal education in, nor did I take it seriously as a skill, so my drawing right now isn’t much better than it was in junior high. Around Christmas I decided it might be fun to take a serious crack at learning to draw again. Last week, I actually bought some materials. Pencils, charcoal, erasers, notepad, and a few drawing books. Flipping through them I decided the one that seemed most fun to start going through was You can Draw in 30 Days by Mark Kistler (http://www.amazon.com/You-Can-Draw-30-Days/dp/0738212415/ref=sr_1_1?ie=UTF8&qid=1363300025&sr=8-1&keywords=how+to+draw+in+30+days). I read the introduction. 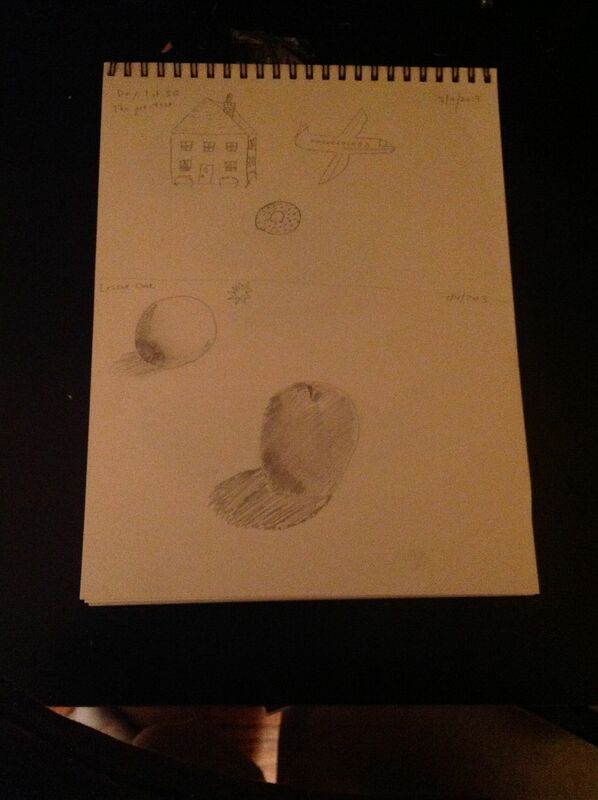 The author suggests a pre-test of sorts – draw a house, an airplane, and a bagel. I don’t know how to draw all three, I think, then take a crack at it. The results are, not surprisingly, horrendous. Crap, I think. This is going to be hard. Not hard in the drawing-is-hard way (which it is), but hard in the oh-god-will-this-be-embarrassing sort of way. Hard in the I’m-really-going-to-want-to-quit sort of way. That kind of hard. Which, frankly, is why these things are hard. Because to try to do something well means failing, and because failing at something you want to do well on hurts. Drawing a horrible airplane hurts. Showing them on my blog hurts. I half-considered tearing the page apart, thinking I’d eventually be good enough not to want to be associated with such garbage. Here’s the real truth of it – it didn’t hurt anywhere near as much as it will hurt in a year, when I’ve put in tons of time and effort, and still am not where I want to be. Like writing – I’ve put hours a day into writing for years at this point. I’m no where near my real goals. That type of thing really grinds at you. One of the ways I fight against the frustration, that sense of inadequacy, is to focus on the following truth; if I quit, failure is guaranteed. The contrapositive (yay high school logic J )of that is if I don’t wait to fail, I can’t quit. Anyway, from the pre-test I moved onto spheres and basic shading. The tiny bit of drawing instruction I’ve had before focused on this type of exercise, so I’ve had at least a little experience. 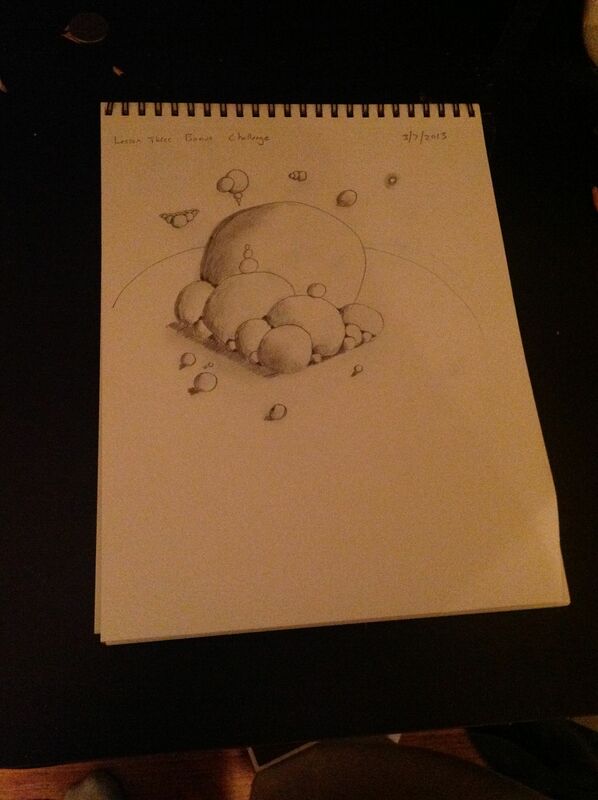 The hardest part for me here was drawing the initial sphere – I hated how imperfect they were. But eventually I forced myself to go with one and finish the exercise. 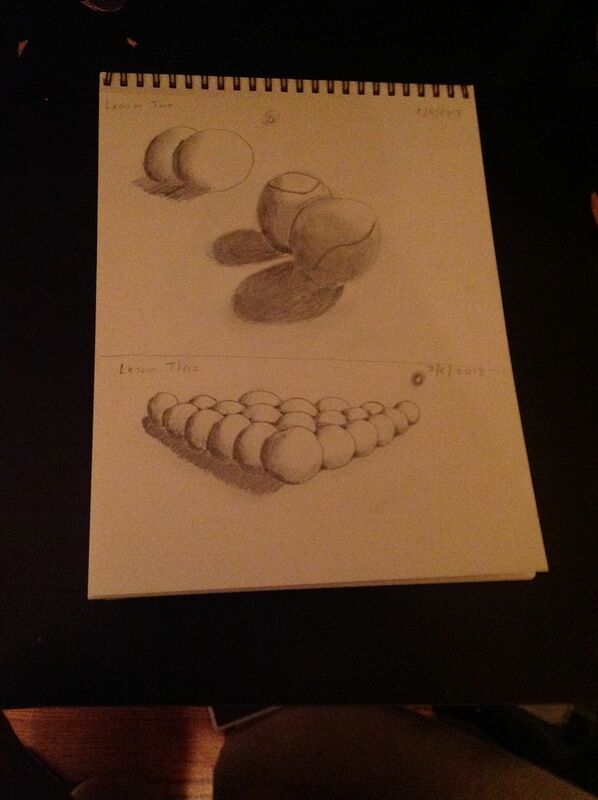 More spheres and shading. I tried to figure out how to make my shading look as good as the examples in the book, and experimented with different types of pencil-strokes. I was reasonably happy with how these three exercises turned out. In particular, the last one, the weird sphere contraption, I thought looked horrible when it was just line art. But simply adding shading turned it into something reasonable. I also tried to get a sense for what shape the shading itself should had, though it’s not clear to me if the book examples were attempting to be consistent in this regard. For today’s video, a fun piece by Franz Ferdinand that I always enjoy! Great stuff, gonna be looking forwards to these blogs! 😀 Might even try to get back into drawing too. Oh and your (AMAZON LINK) isn’t actually a link, and the first sentence of the 5th paragraph has a typo (” crac k”). @Ergo It makes sense that a post about learning to draw would have myriad writing mistakes. Shading is a really easy way to hide underlying bad form. It’s super tempting to start shading too early in a piece because it instantly makes it look better. But it will never look quite right if you don’t get the base shape of the drawing right first.